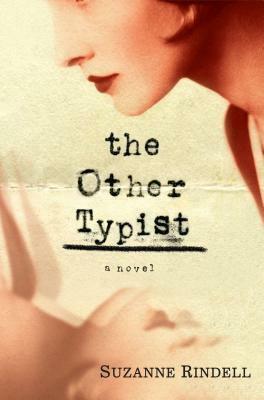 Author Suzanne Rindell crafts an enticing, easy to devour story of deception and sin in her debut novel The Other Typist. This is the kind of book you can (and I certainly did) finish in a single weekend, a pleasurable story full of suspense and scandal. Set in the 1920’s, Rindell’s prose rings with the effortless formality of that era’s speech, never jilting or awkward to read as such writing can sometimes be. Her picture of Prohibition-era Manhattan is replete with flapper dresses, edgy bob-haircuts, dark alleys leading to speakeasies, and all the glamour and depravity expected of that time. Rose is an immediately endearing character, but her reliability as a narrator and her purity don’t take long to come into question. At first, she seems the picture of simplicity and goodness with her uncomplicated lifestyle, her remarkable plainness, and her ability to recognize and quickly forgive the faults and flaws of others. As it is revealed that Rose grew up in an orphanage, we learn about her exceptional capacity for observation, developed at a young age but in her adulthood, bordering on voyeurism. The purity of Rose’s nature becomes increasingly questionable when a new girl is hired at the office, an alluring but mysterious woman whose favor Rose fools herself into thinking she doesn’t desperately want to win. Working at a Manhattan police precinct during the early days of Prohibition, Rose is initially one of three typists on staff, but becomes one of four when Odalie is hired to meet the increased demand for stenographers due to rising alcohol-related arrests. Odalie’s arrival is treated as ominous from the moment she steps through the precinct’s doors for her interview. Fashionable and obviously from a moneyed family, Odalie possesses a magnetic presence and a stunning wardrobe. Through the first person narrative, Rose drop hints as to how everything will change once Odalie comes into her working life. At first we are just privy to the daily minutiae of the precinct, gossip about the new girl, minor transgressions when some of the typists exclude the other ladies from a lunch date, and a cast of drunken criminals providing incoherent testimonies for Rose to transcribe. During this time, Rose’s keen observation of her new coworker manifests itself as she keeps notes on Odalie, becoming both overwhelming suspicious and jealous of the new hire. But when Odalie befriends Rose, treating her to lunches at white tablecloth restaurants and eventually inviting her to live in the spare bedroom at Odalie’s spacious apartment, Rose’s initial misgivings about Odalie are immediately forgotten. Rose delivers her narrative from an unidentified point in the future, struggling to tell the story of past events in chronological order. She makes repeated reference to her doctor, assumedly one from the mental health field as it becomes increasingly obvious that she is unstable, easily influenced, unreliable in the narrative, and maybe even prone to illusions of grandeur and resolute morality. Odalie introduces Rose to the world of speakeasies, fashion, and high society. Though she strenuously argues otherwise, Rose’s will and sense of goodness is not so strong; she quickly succumbs to the temptations placed before her by the new typist, going so far as to forge the testimony of a serial murder who won’t speak in an attempt to see justice done. Odalie’s motives for applying to the precinct were initially questioned on account of how she presented herself; such a stylish woman obviously comes from good breeding and shouldn’t need to work to survive. Rose accepts Odalie’s haphazard excuses for these sorts of incongruities, accepting that the truth of Odalie’s past will never be nailed down. But to both readers and Rose alike, the later revelation that Odalie is involved in the speakeasy community, importing illegal alcohol, comes as no surprise. In fact, the majority of the book hovers upon similar suspicions that are usually confirmed. This predictability, however, isn’t boring because the personalities and stories are so fascinating to discover in their unveiling. While there is an overriding ominous feeling that something large, terrible, and irreversible are about to occur, the beauty of the book lies in seeing just how such events play out, in determining the full extent of Odalie’s sinful nature and Rose’s blind loyalty and naivete. Rose’s story is ultimately about betrayal, temptation, loyalty, and the ways in which morality can go against the grain of social codes. So completely obsessed with Odalie, Rose ties herself tighter and tighter into bundles of trouble that she has no hope of removing herself from, sometimes consciously and other times at the hands of Odalie without a hint of suspicion from Rose. The play of deception is a constant undercurrent of the story, the source of the twists and turns that make it so interesting despite the often easily foreseeable turns of events. The course of Rindell’s novel also speaks to the glitz and glamour that makes it easy to forgive, if not deny against all evidence, the sins of others, and how we are so easily enraptured by such superficial and socially valued things as wealth, expensive wardrobes, and glittering diamonds. Although The Other Typist doesn’t offer anything groundbreaking in the world of suspenseful, thriller novels, it’s a highly satisfying addition to the genre that will quickly envelop you in Rindell’s fictional world, never sure whether to champion, abandon, denounce, pity, or even trust the unsteady Rose.